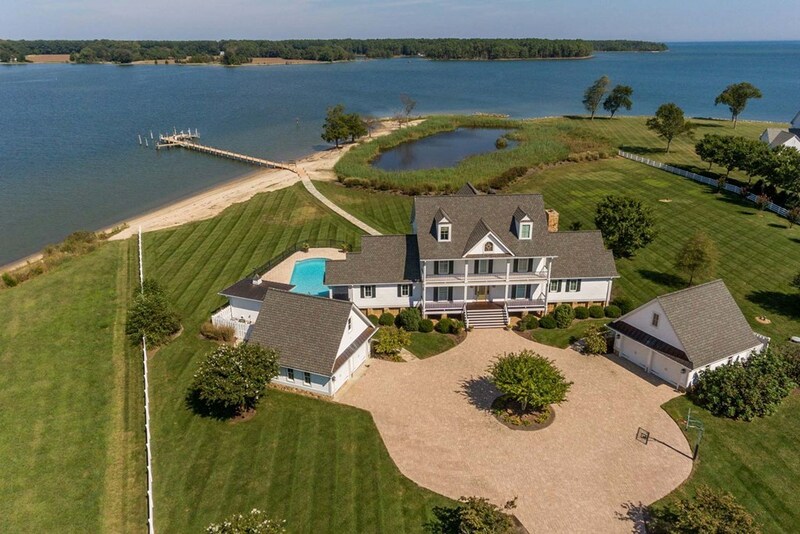 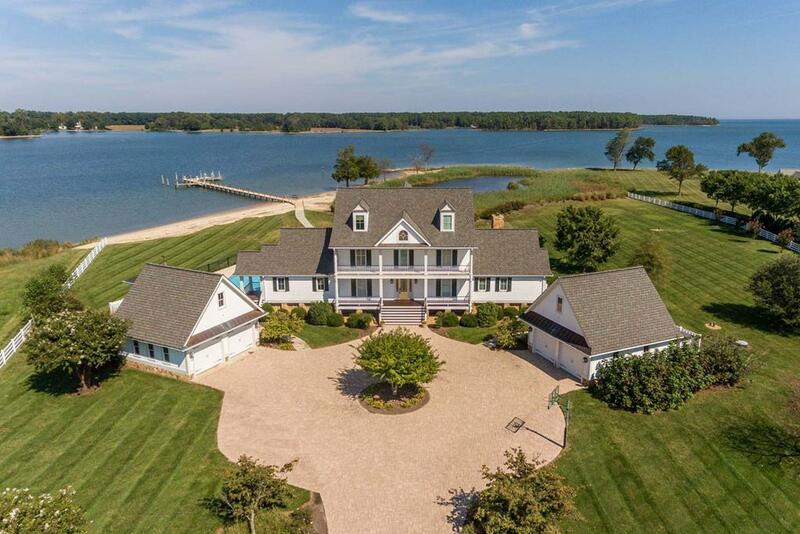 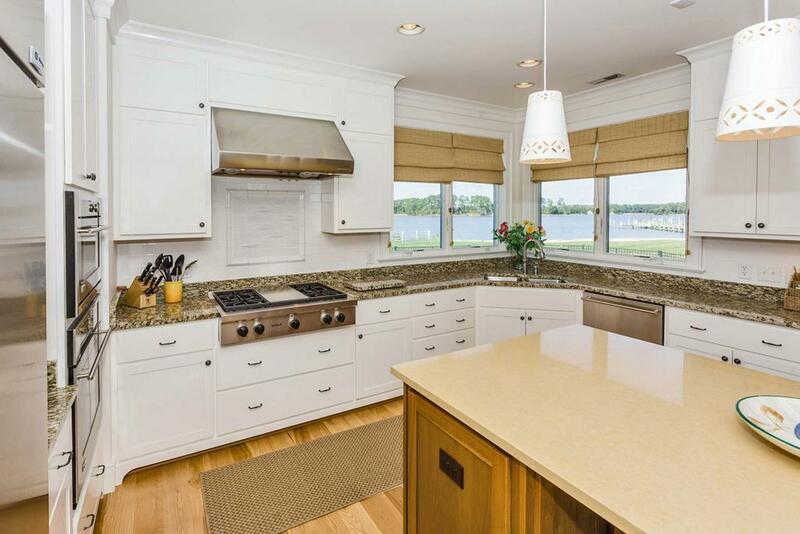 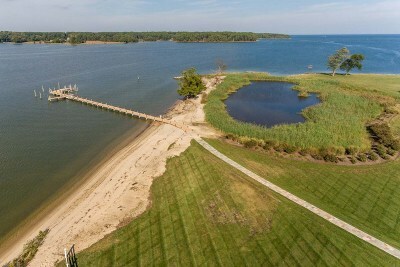 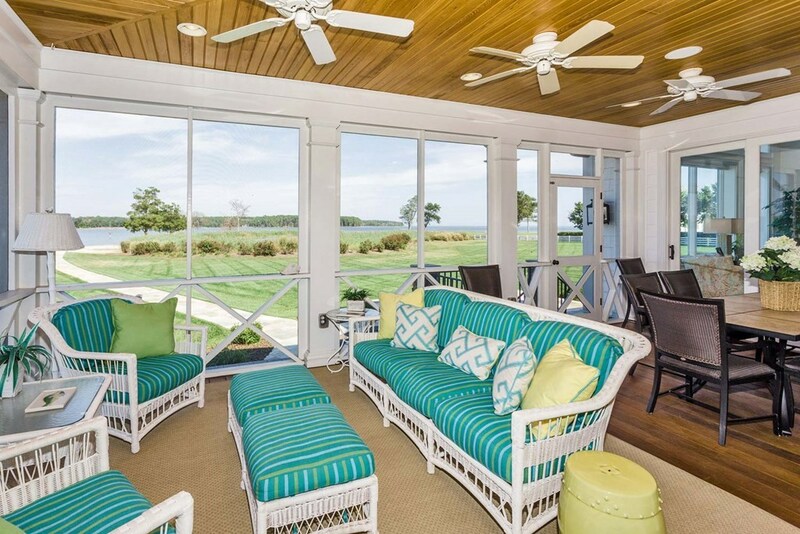 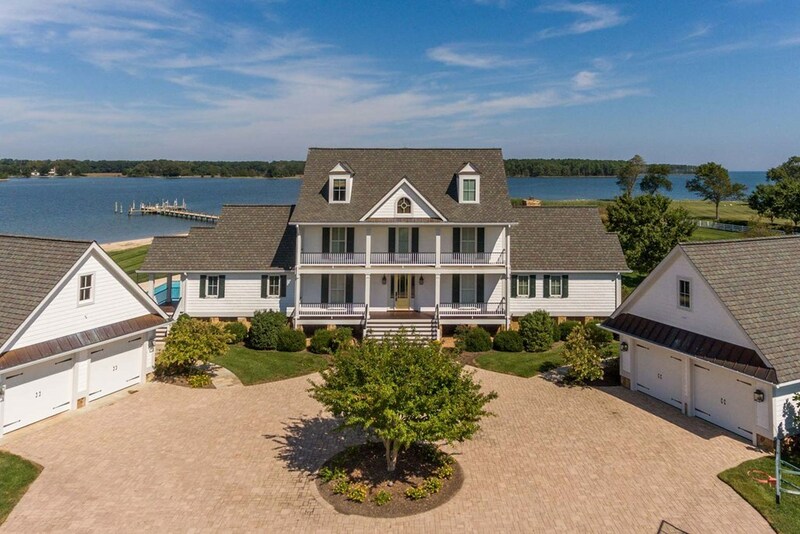 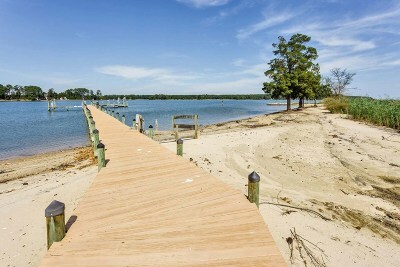 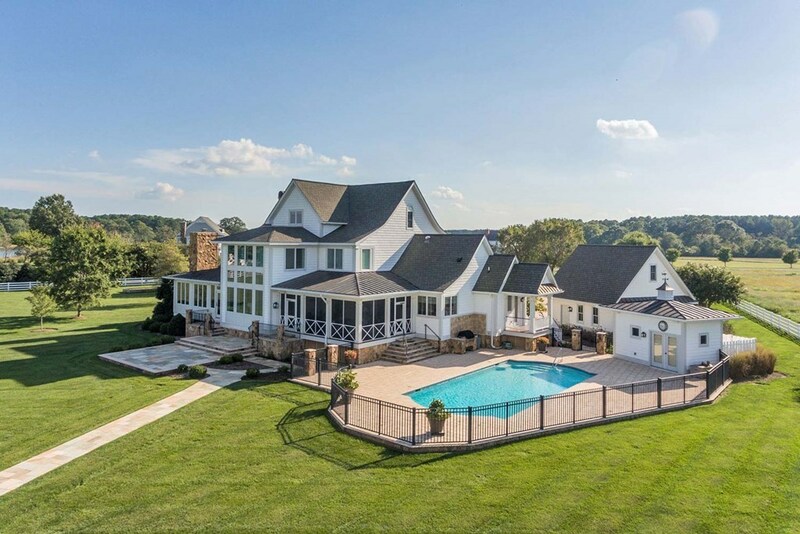 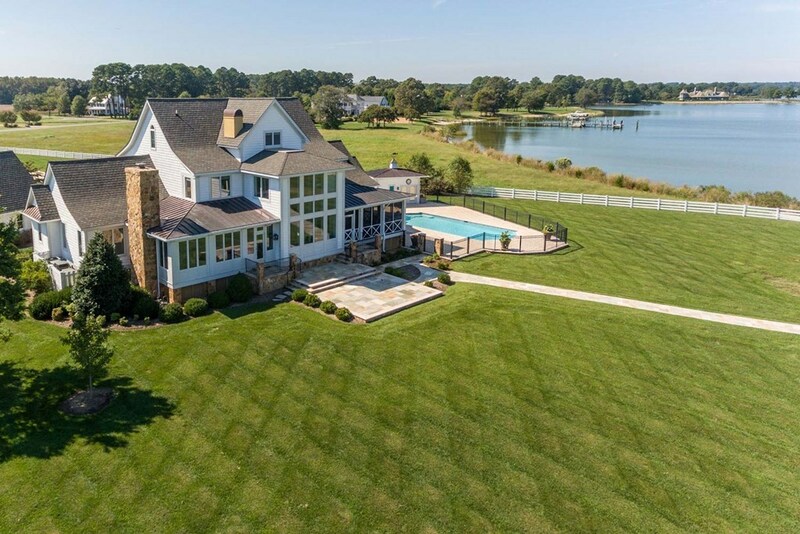 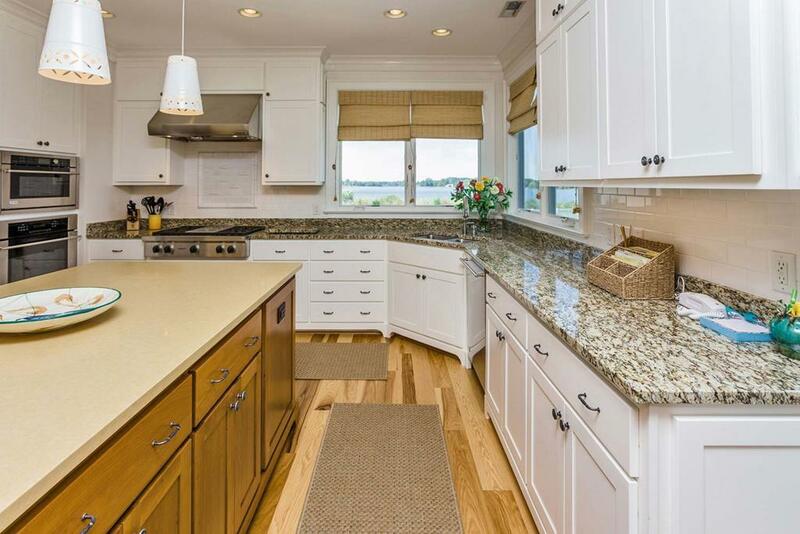 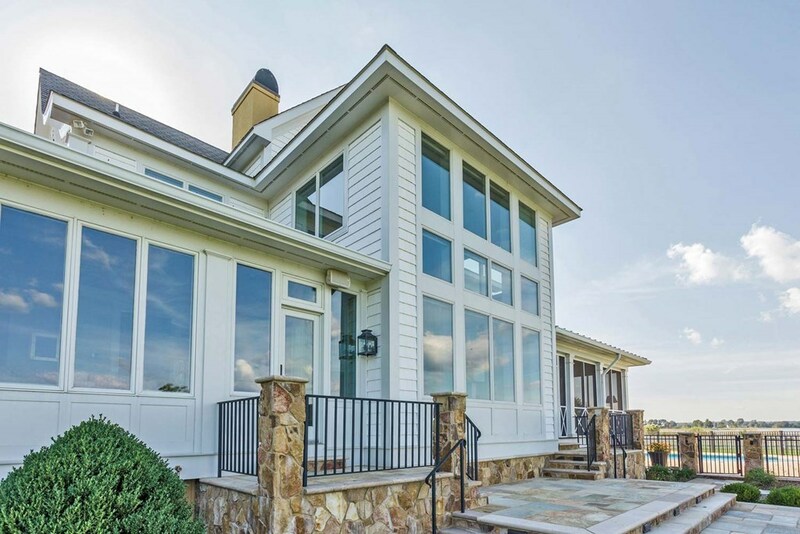 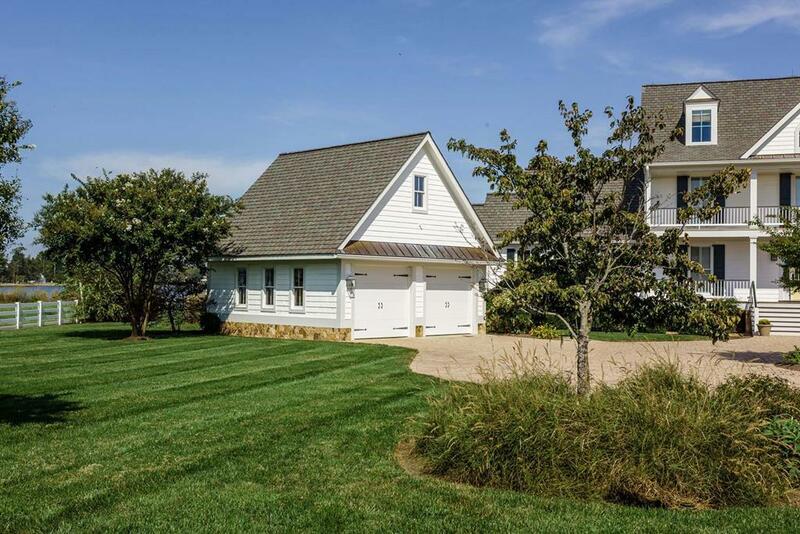 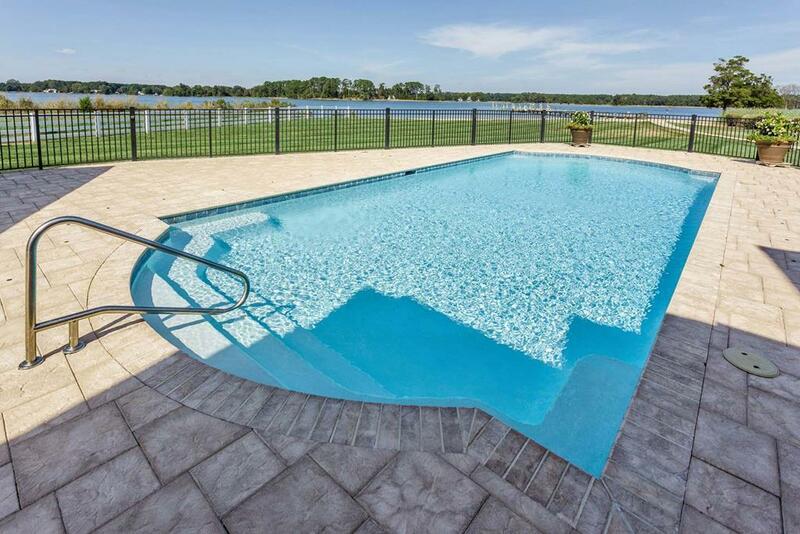 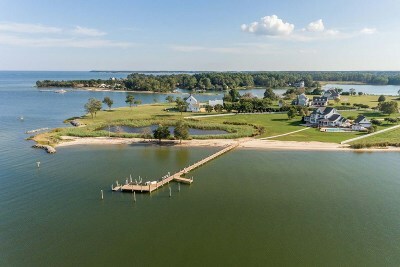 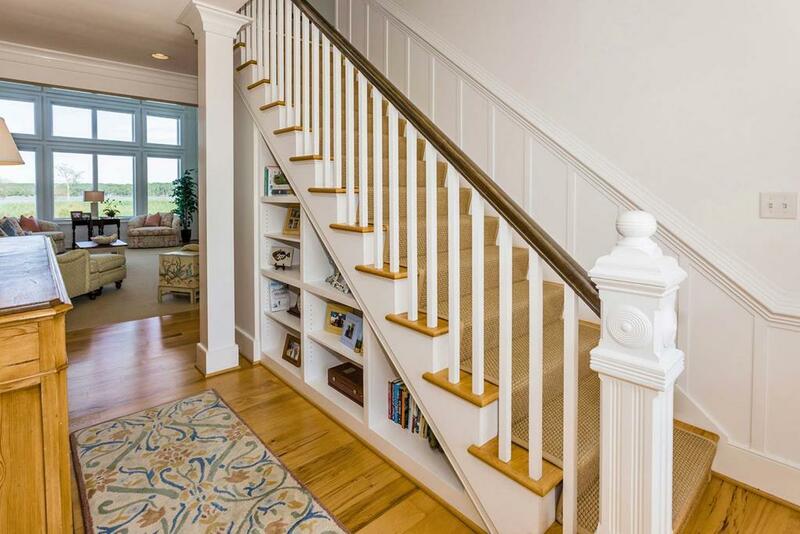 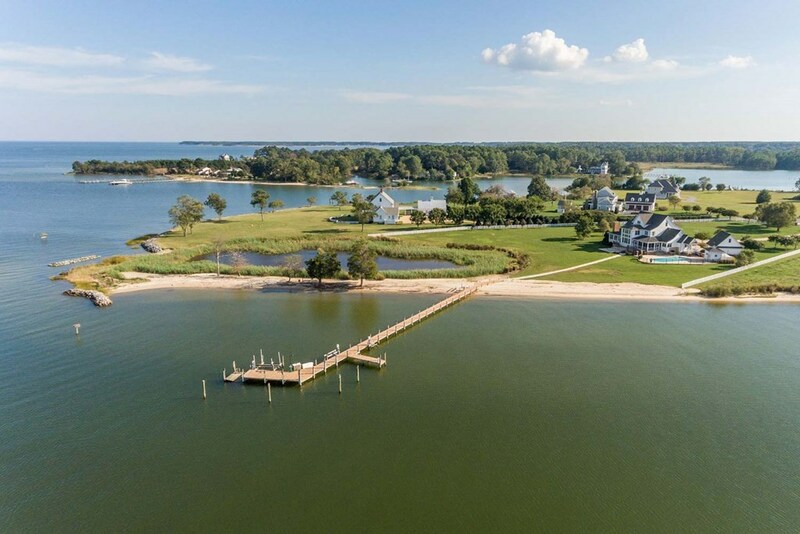 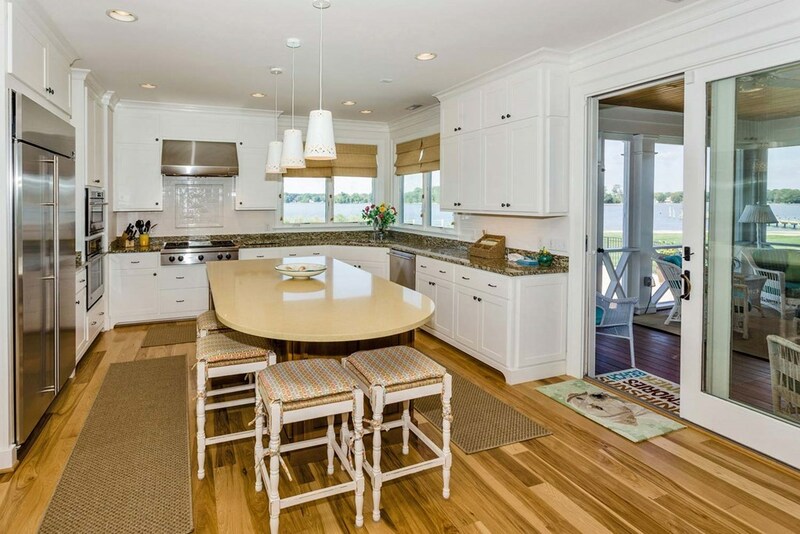 Bellows Landing Estate, exceptional Dymer Creek & Chesapeake Bay Views, gorgeous Sand Beach, DEEP anchorage at the private pier (7'MLW), waterfront Pool w/stone patio & Pool House w/Bev. 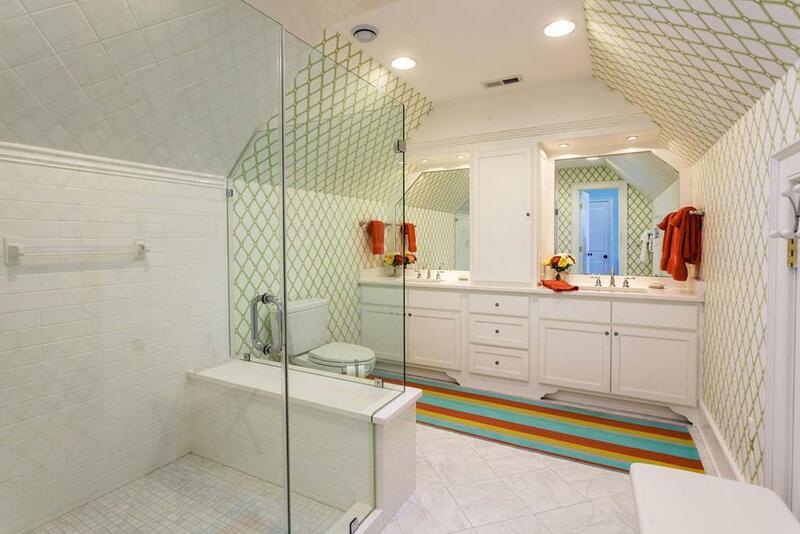 Fridge, ice maker & full bath. 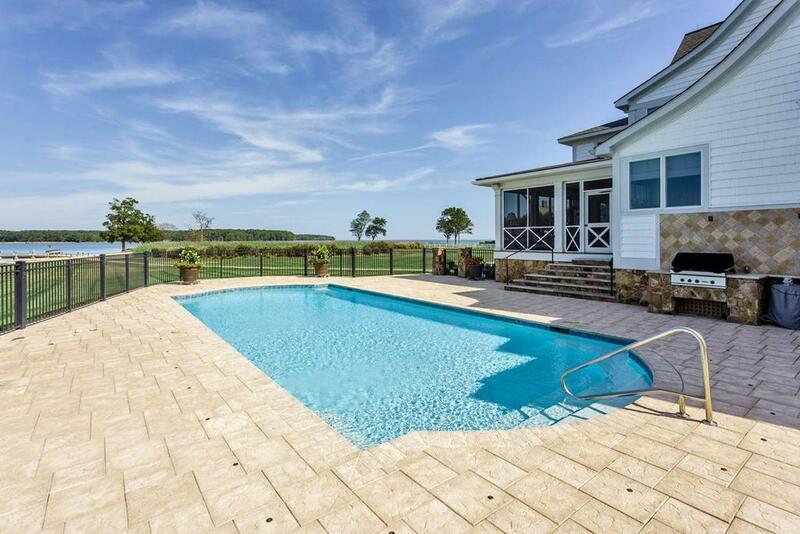 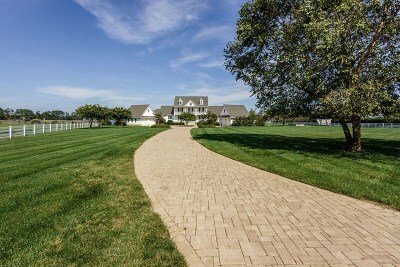 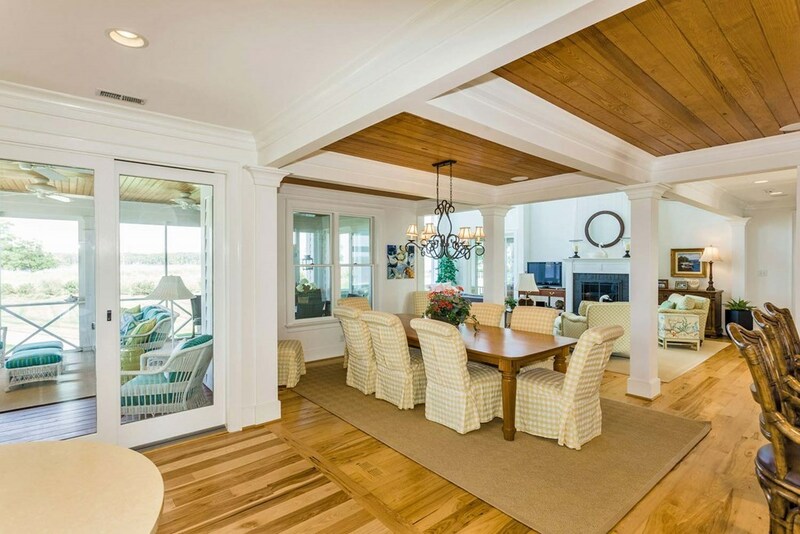 Fabulous Coastal designed home all on 5+ acres in a most desirable high-end neighborhood. 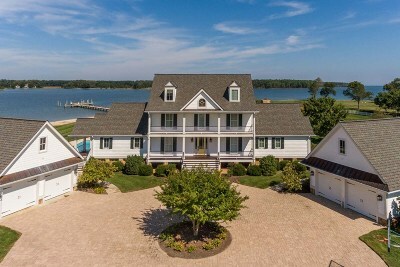 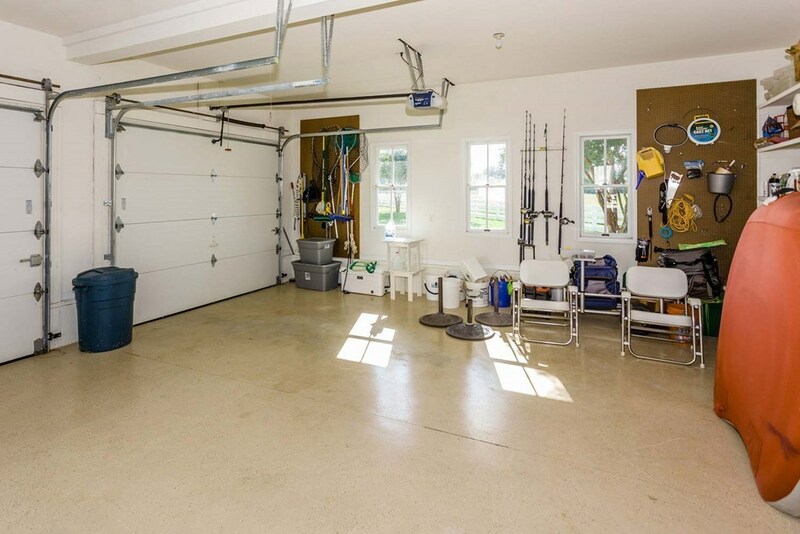 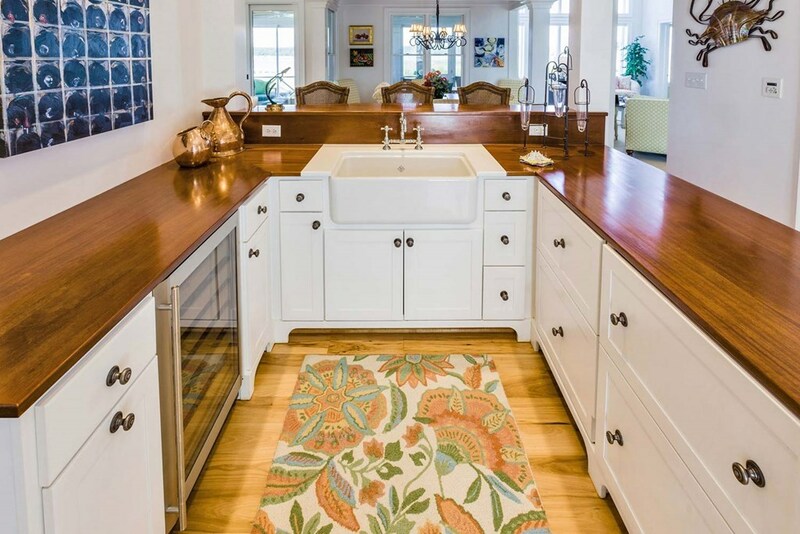 Minutes to fabulous fishing, crabbing off your pier, growing your own oysters, sunrises over the Bay & sunsets up the Creek with the home designed for making fun filled memories & entertaining w/family & friends. 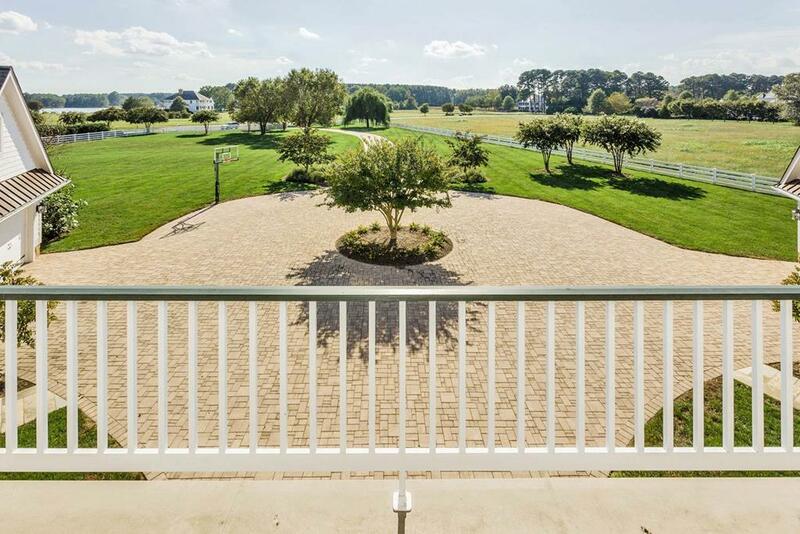 Gorgeous entrance w/aggregated circular driveway, mirrored detached double garages on either side, landscaped & front entrance of home w/double covered porches. 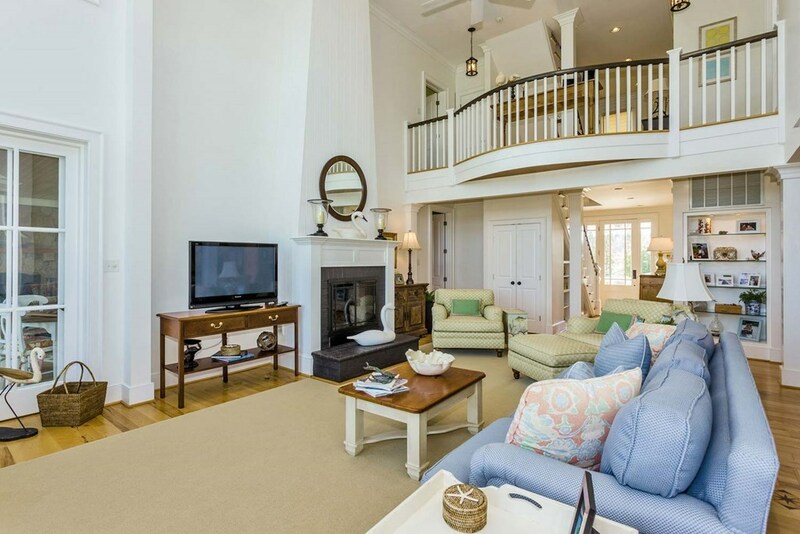 Living Room w/2-story ceiling soaring windows over the waterfront, gas logs in the brick fireplace, shiplap & open to the formal Dining Area w/tongue & Groove Ceiling & open to the Full Wet Bar w/barstool, built-in cabinets, wine fridge, 2 under counter fridge & ice maker. 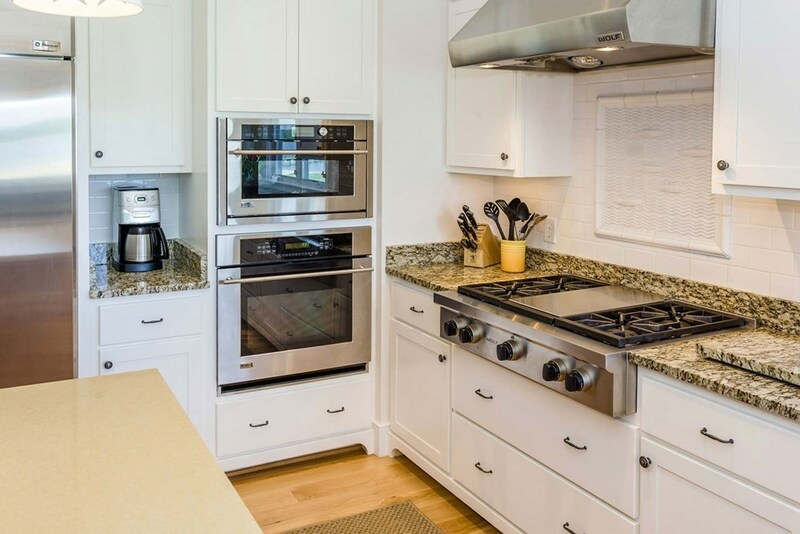 High-End Kitchen w/Silstone center island, SS appliances, granite countertops, large pantry & access to the large Screen Porch off the Pool Area. 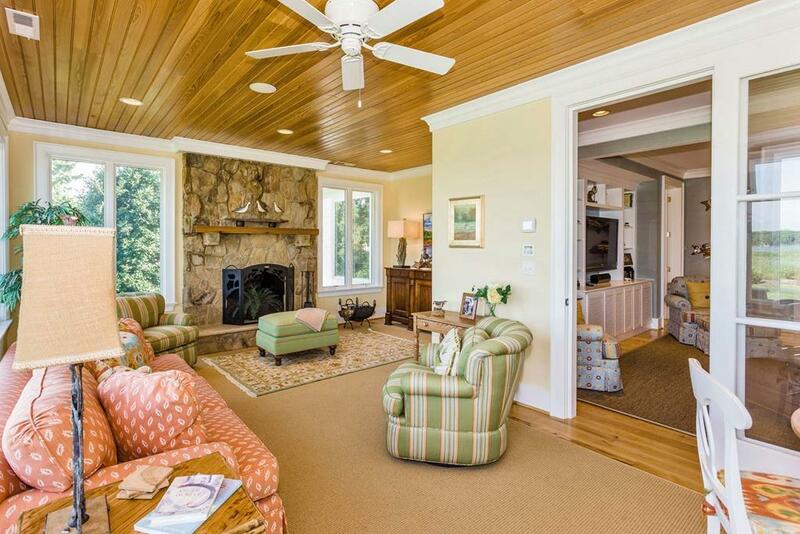 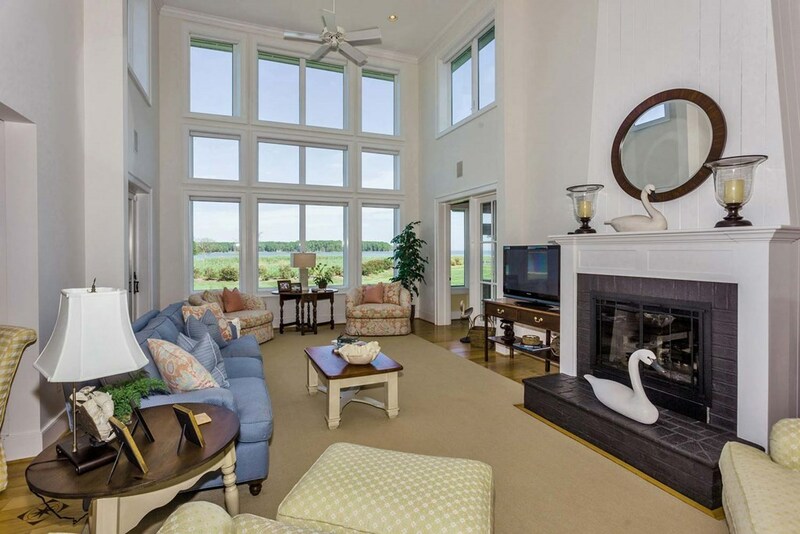 "Creek Room" has wide views & wood Burning Fireplace w/access to outside. 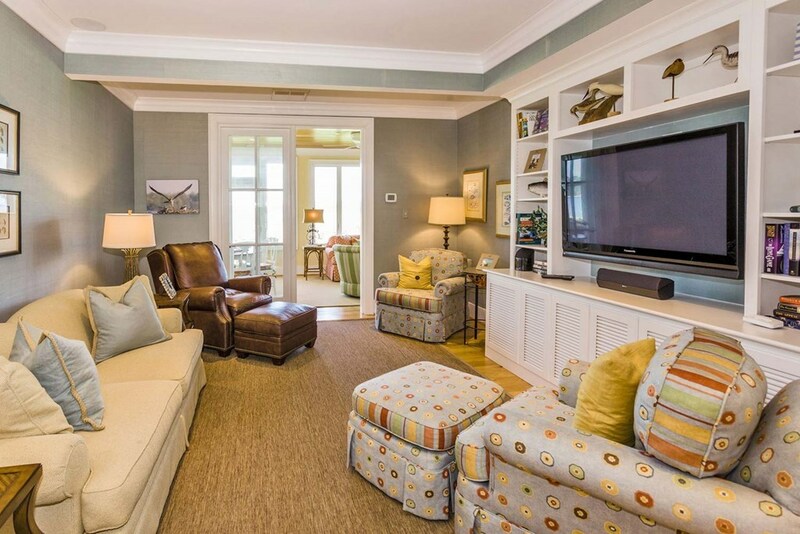 Cozy Den makes a perfect place to relax w/built-in cabinets. 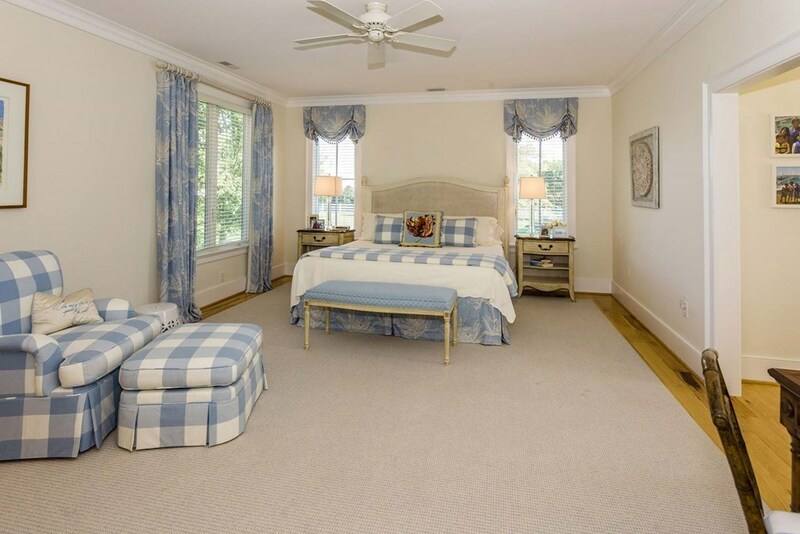 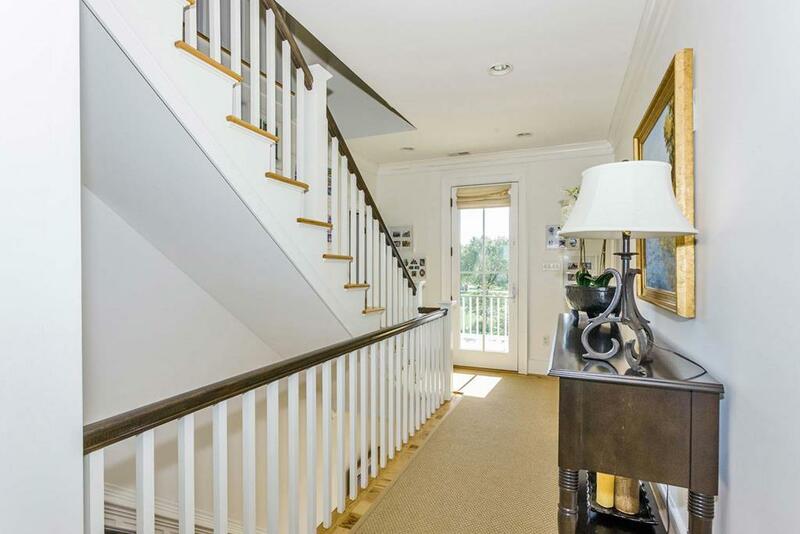 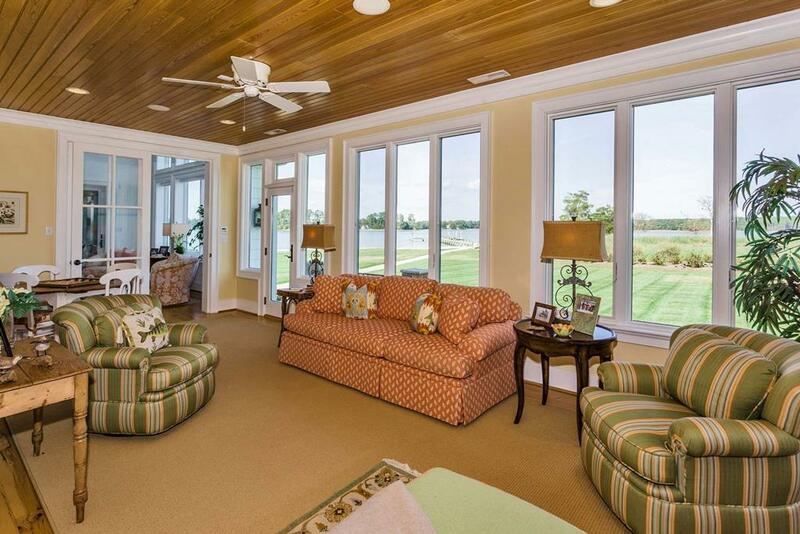 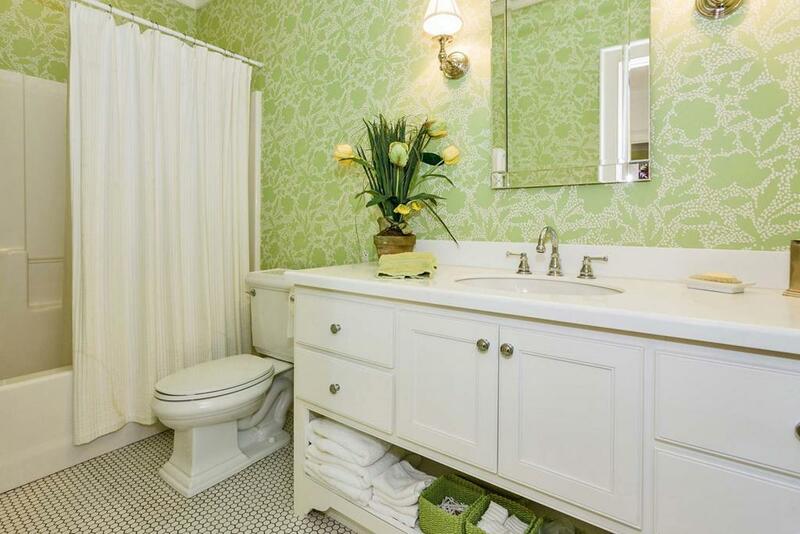 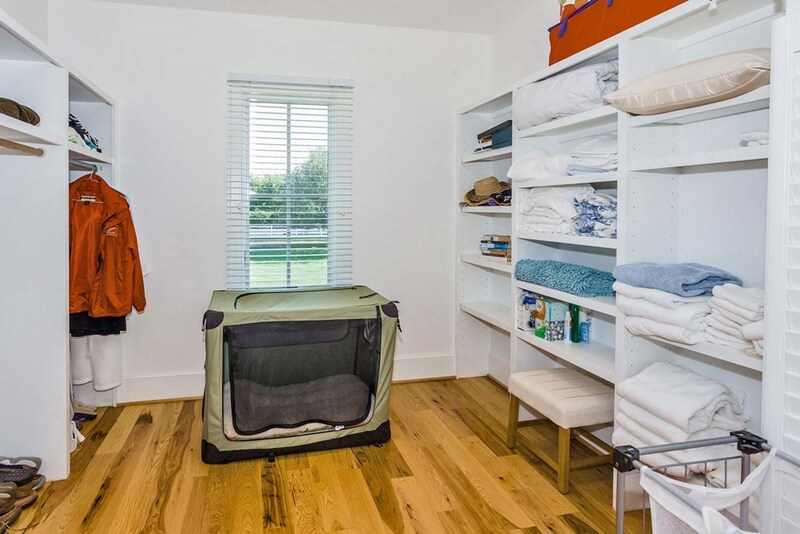 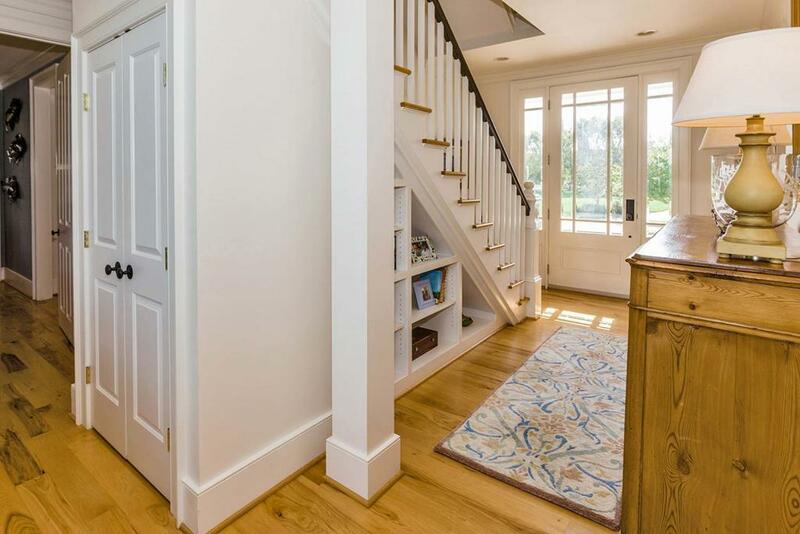 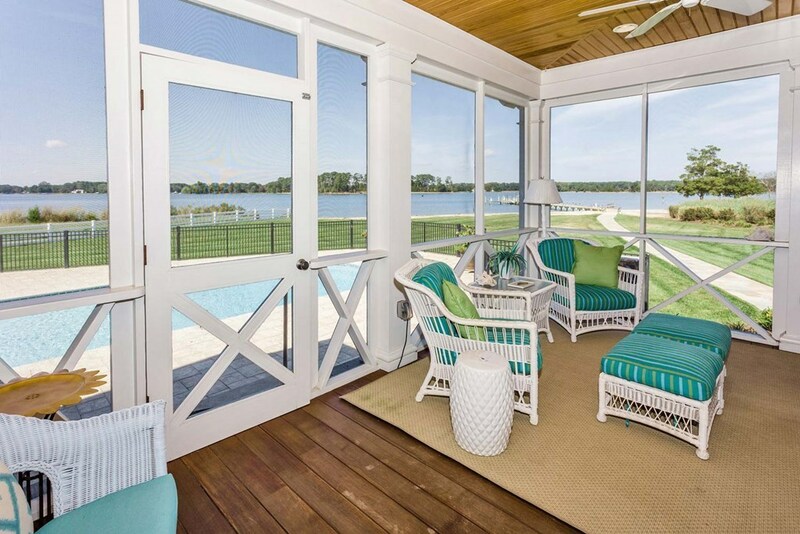 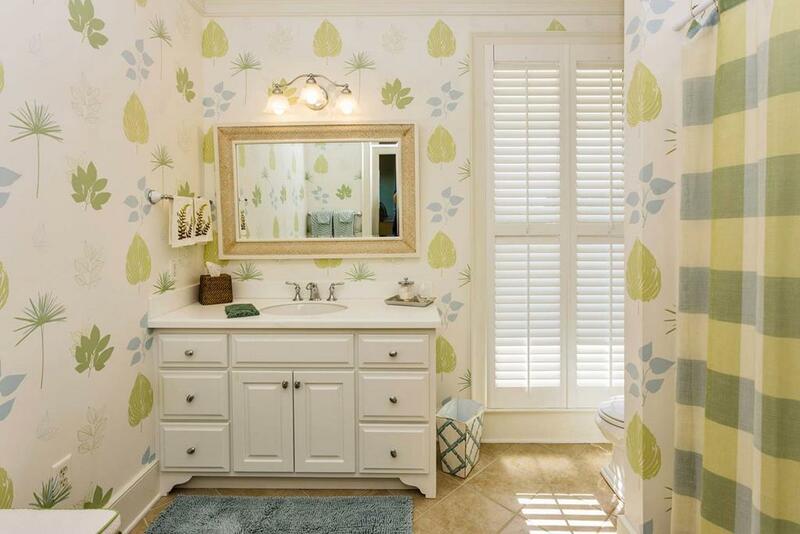 There is a 1st Floor waterside Master Suite w/huge walk-in closet & large Master Bathroom. 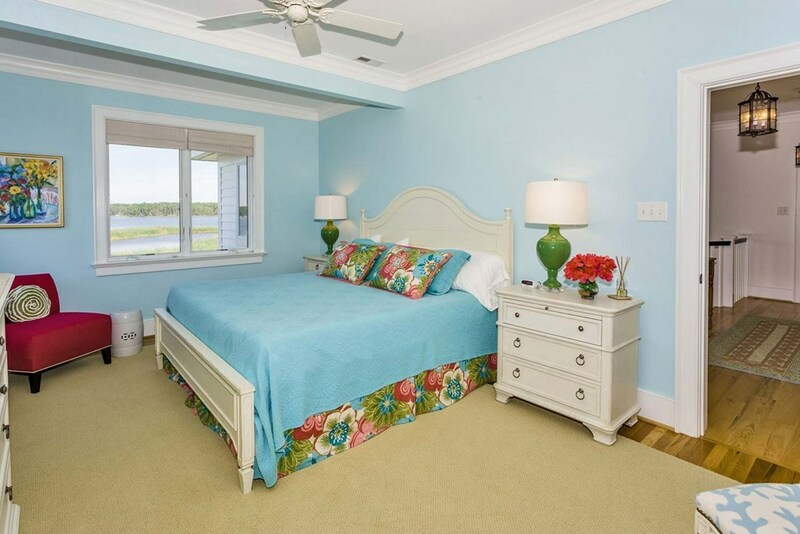 Upstairs has 2 ensuite WF Guest Rooms, (Guest Room 3 w/full bath across the hall.) 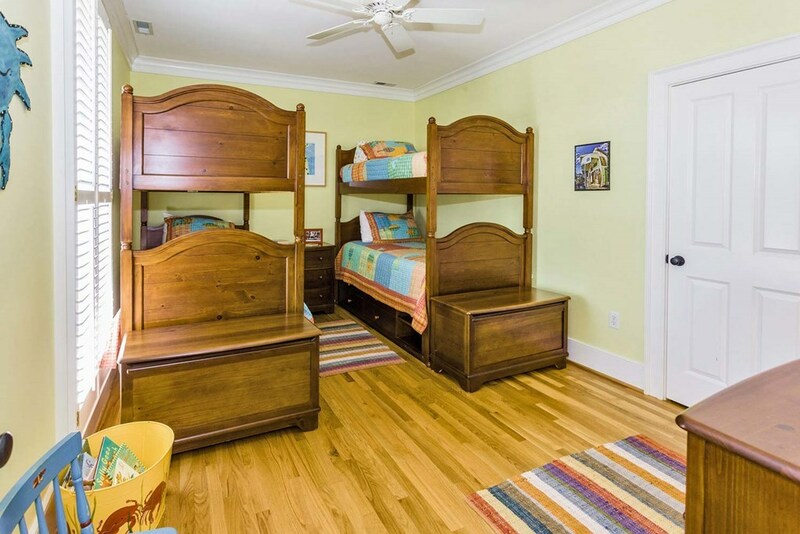 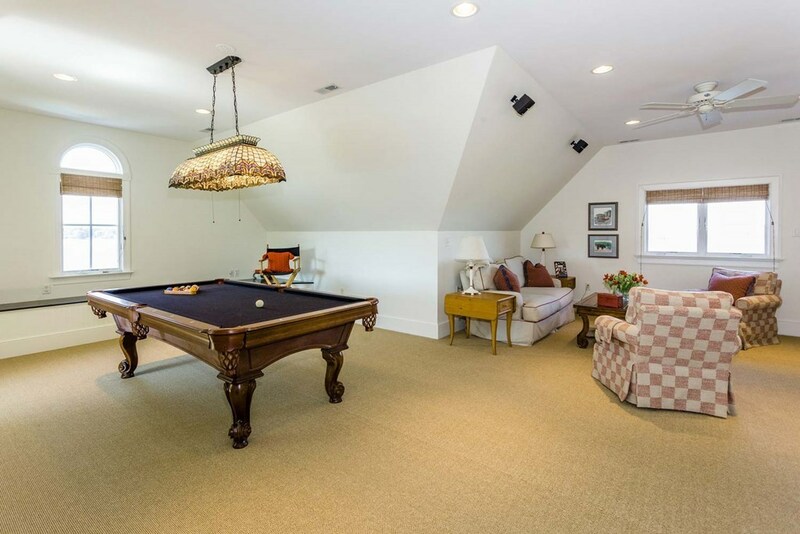 3rd Floor has 29' X 23' Bonus Room w/surround sound, 1/2 bath & built-in Bunk bed room. 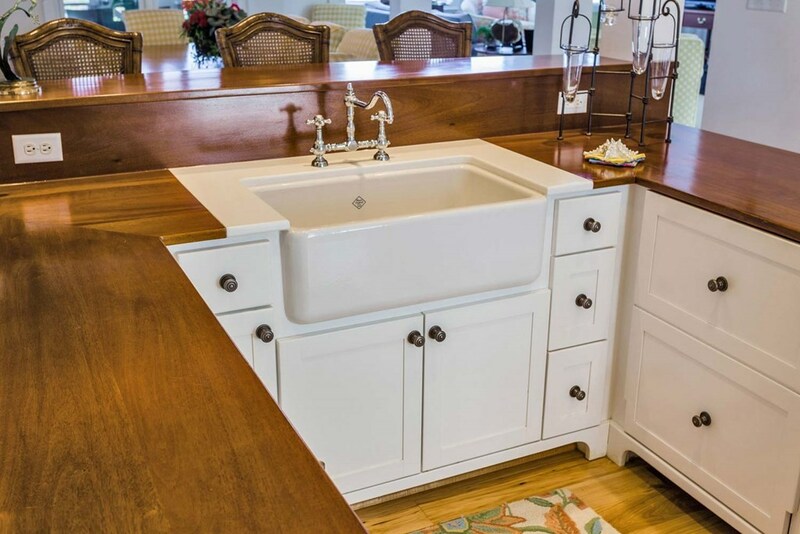 Classic Bay Residence to truly treasure!